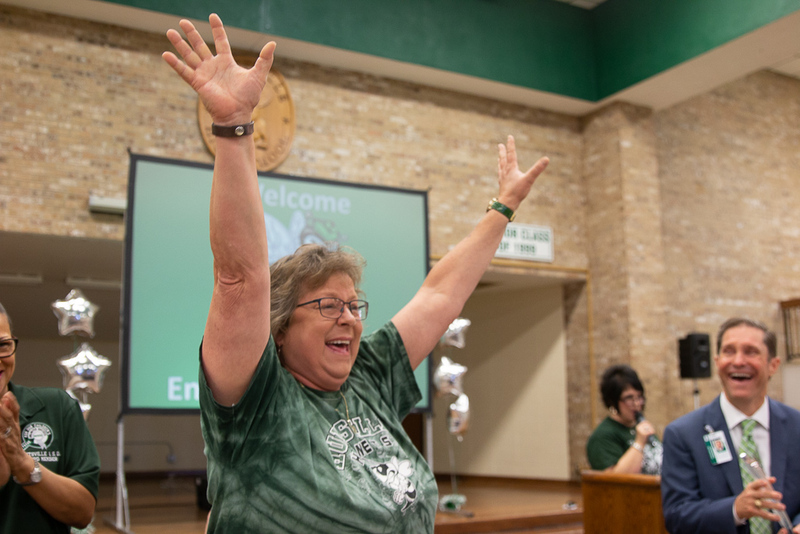 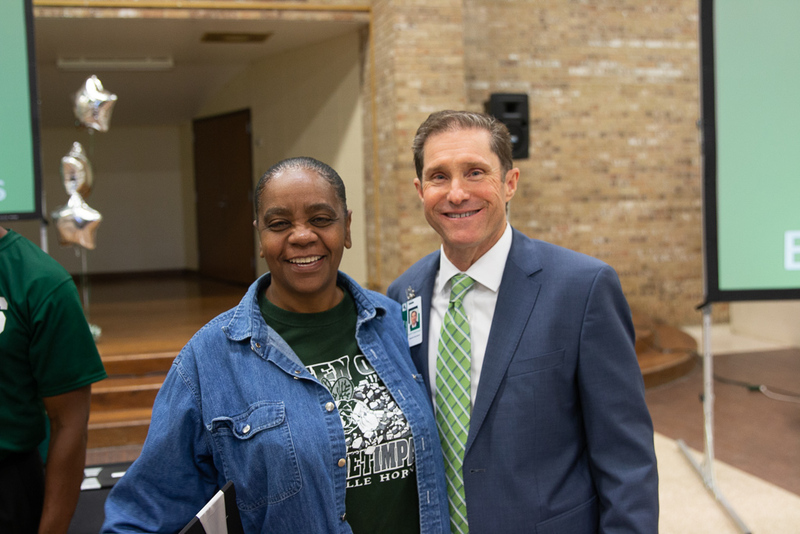 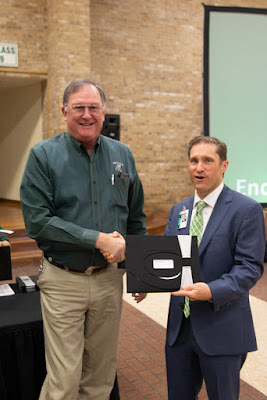 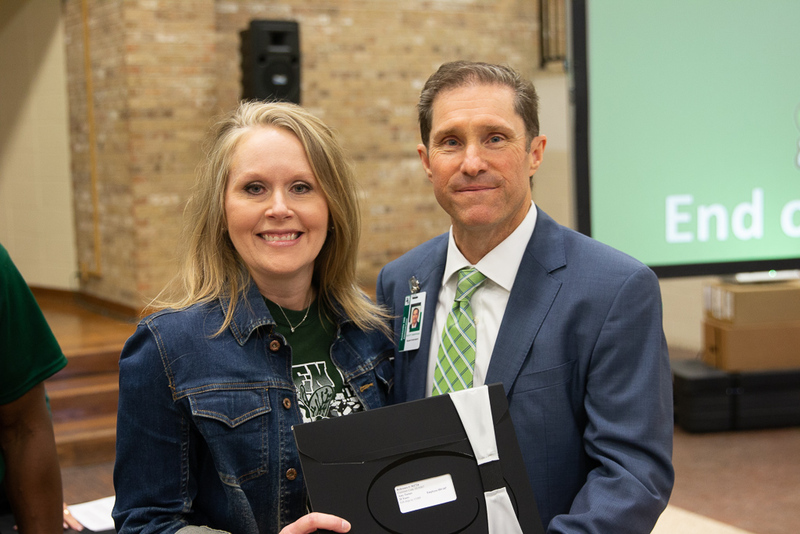 The H Factor: Our End of the Year Celebration- Thank you Huntsville ISD Staff & Faculty! 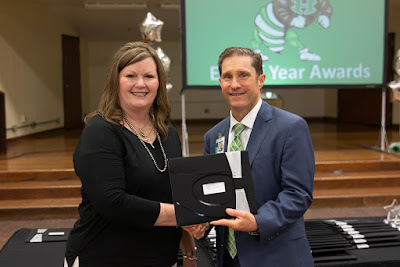 Our End of the Year Celebration- Thank you Huntsville ISD Staff & Faculty! think of it as some quality "us" time to celebrate, hang out, enjoy some good breakfast and honor our award winners. 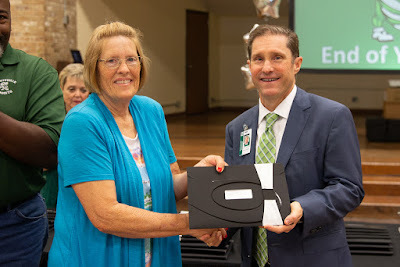 We send our retirees off with our deep gratitude, award staff and faculty for exceptional work, and recognize the service milestones of our folks. 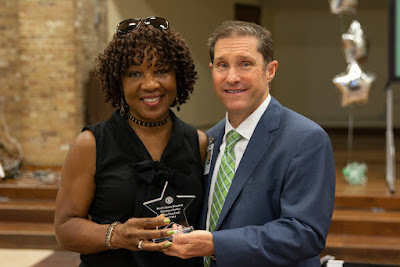 We've already had a chance to share lots of photos (via Facebook) of the hanging out & camaraderie part of our morning, and here we share photos our individual honorees. 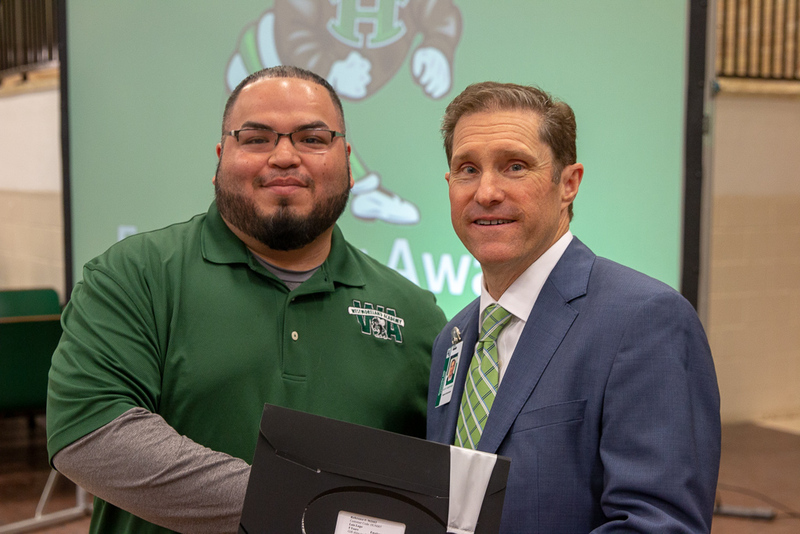 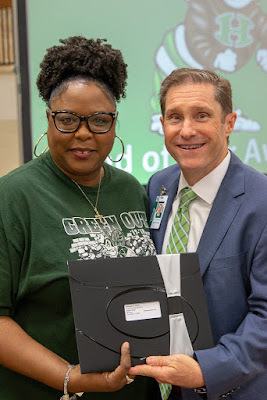 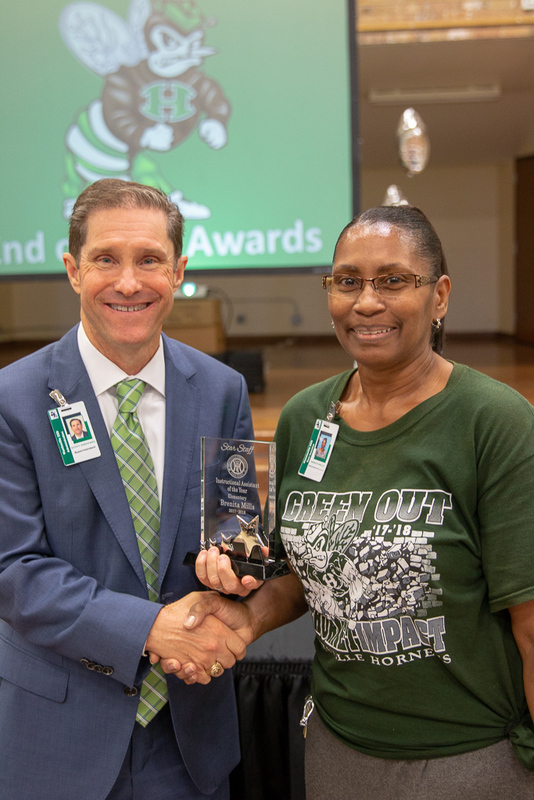 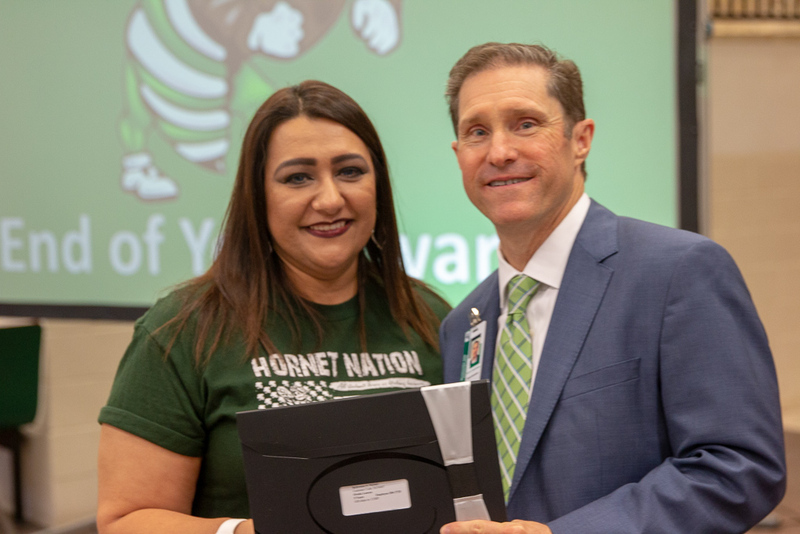 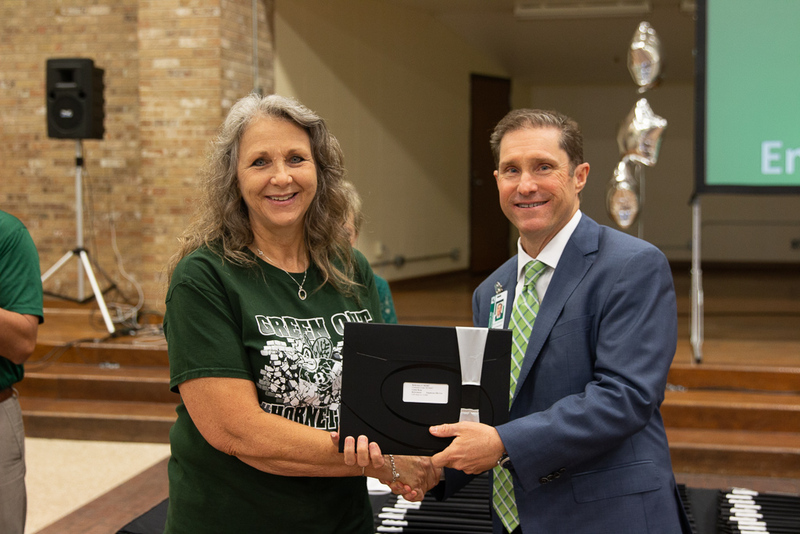 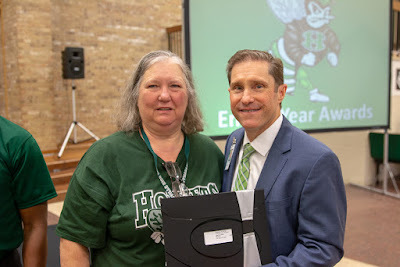 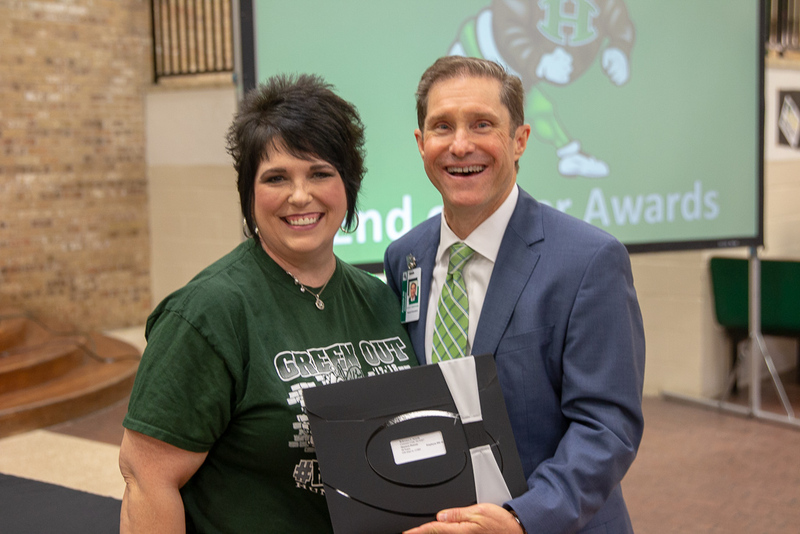 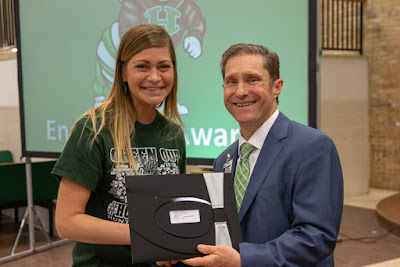 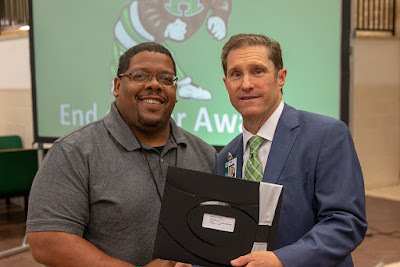 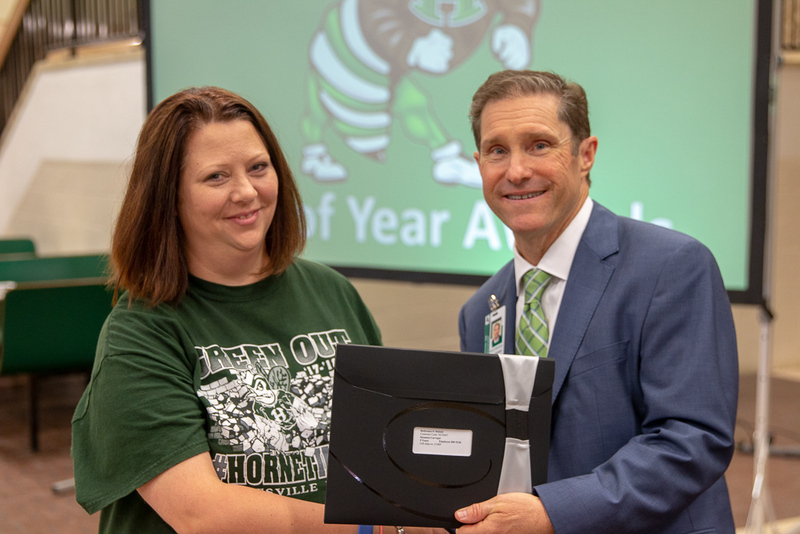 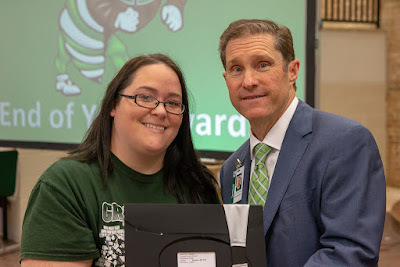 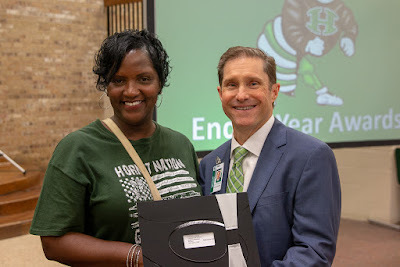 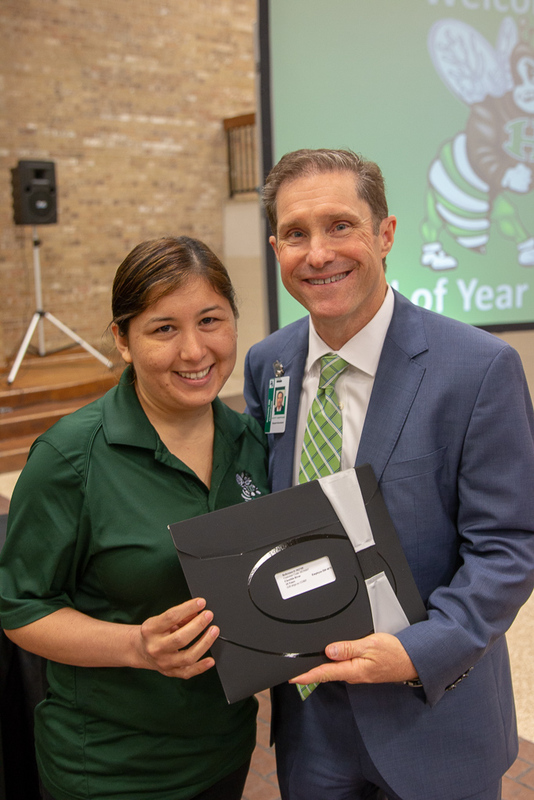 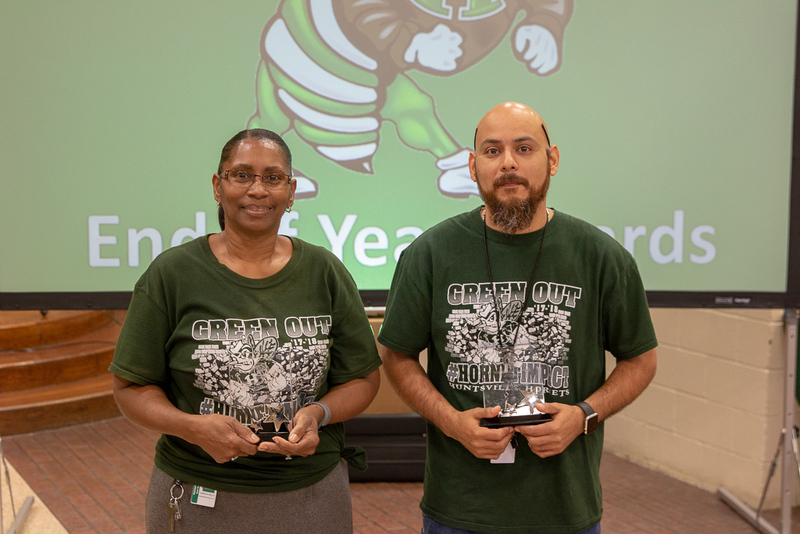 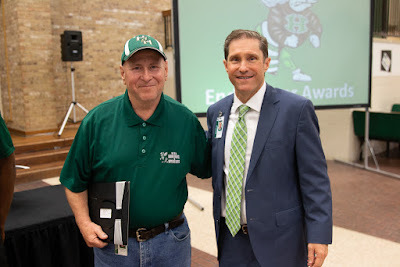 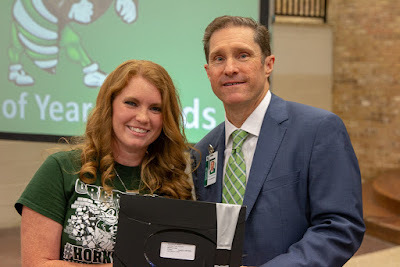 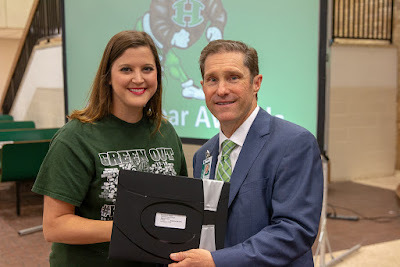 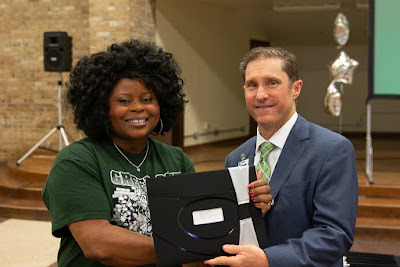 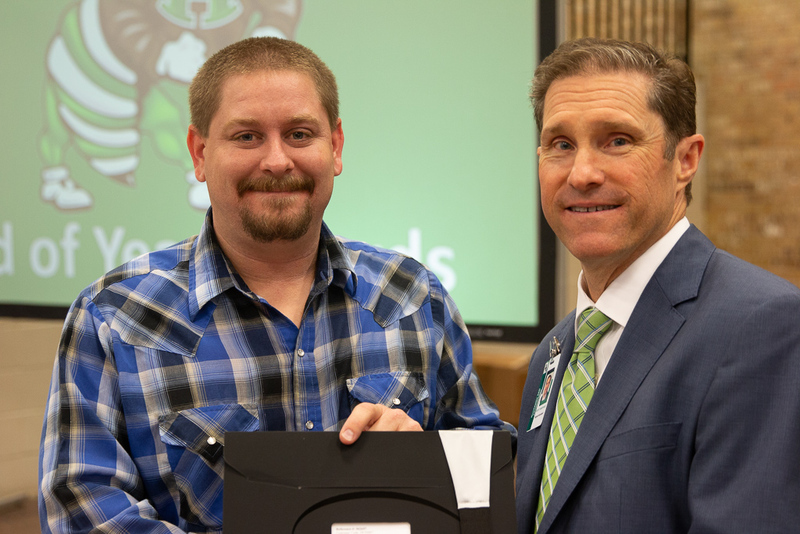 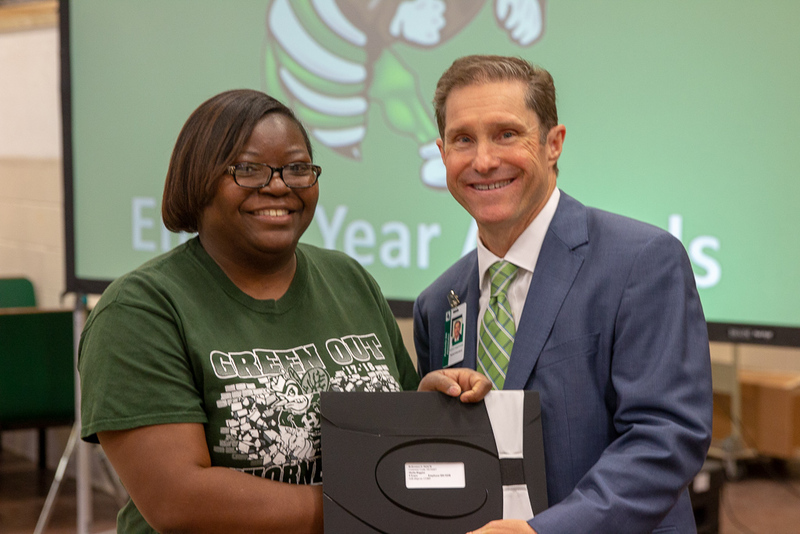 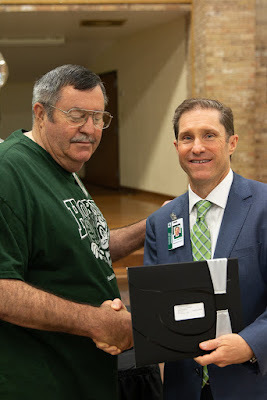 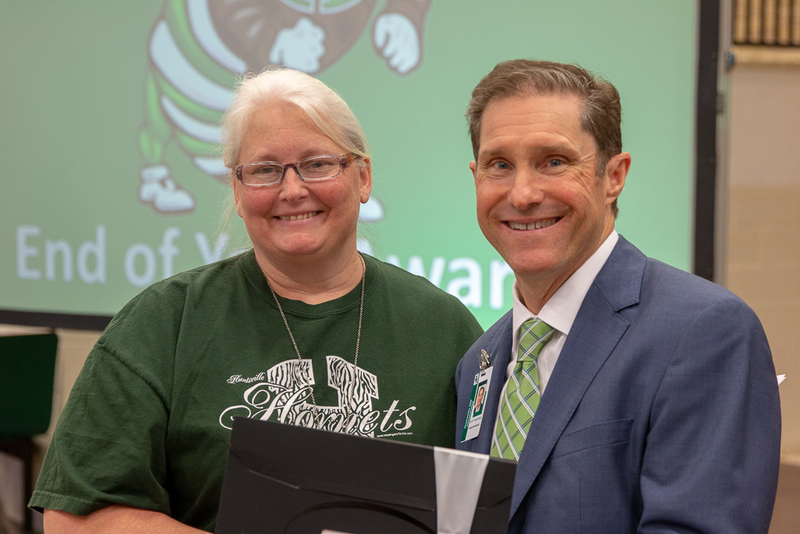 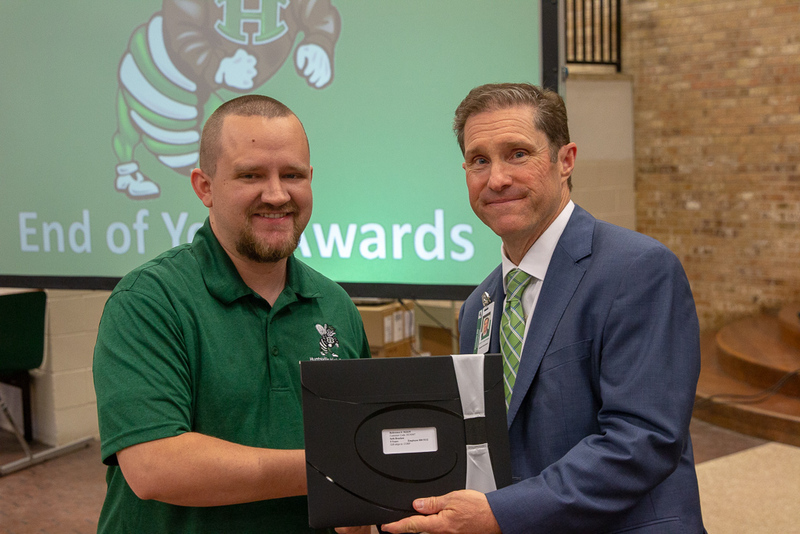 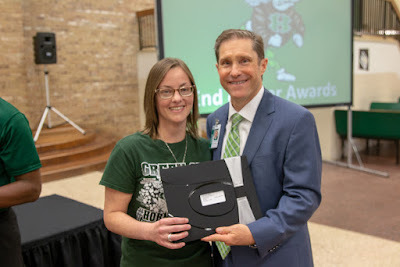 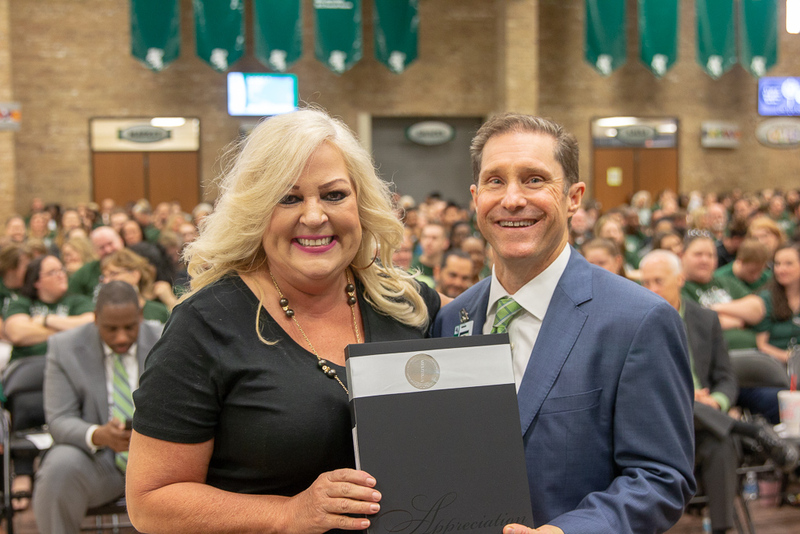 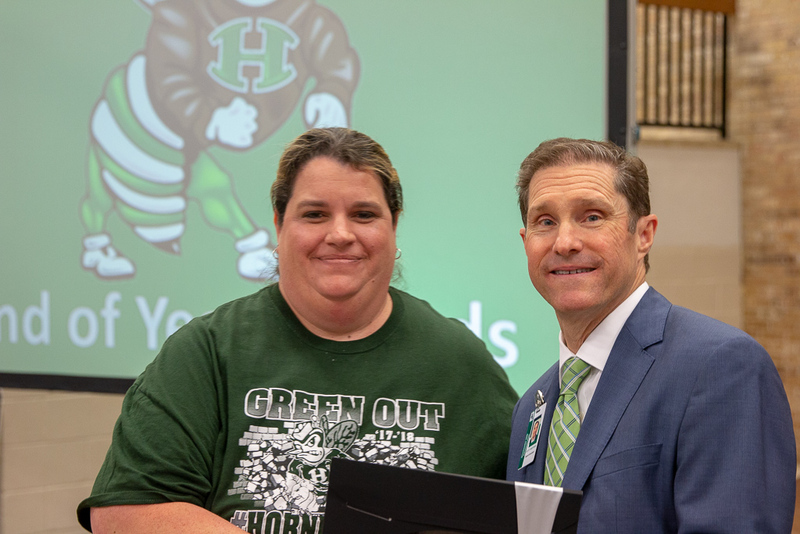 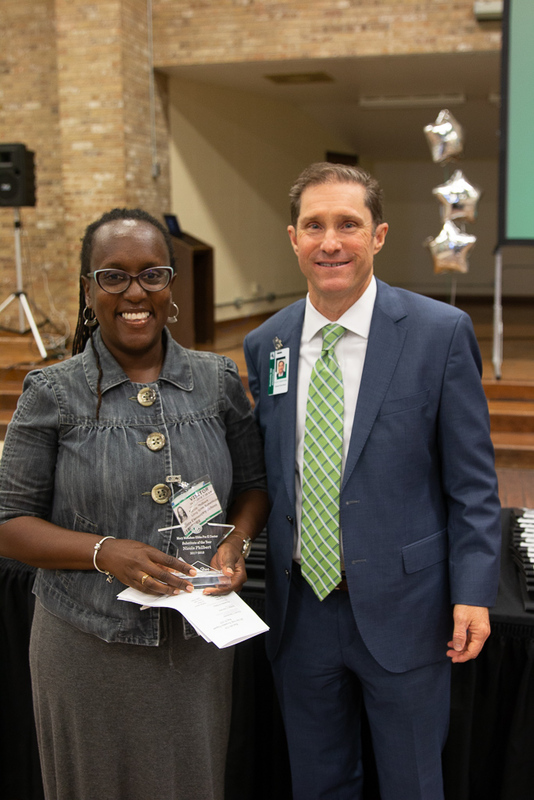 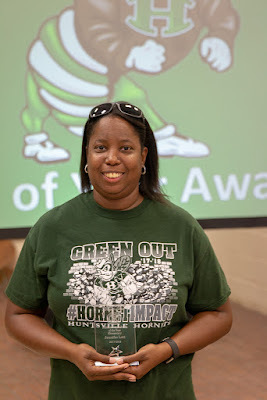 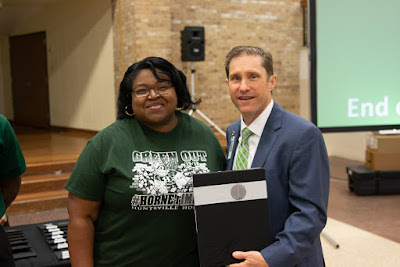 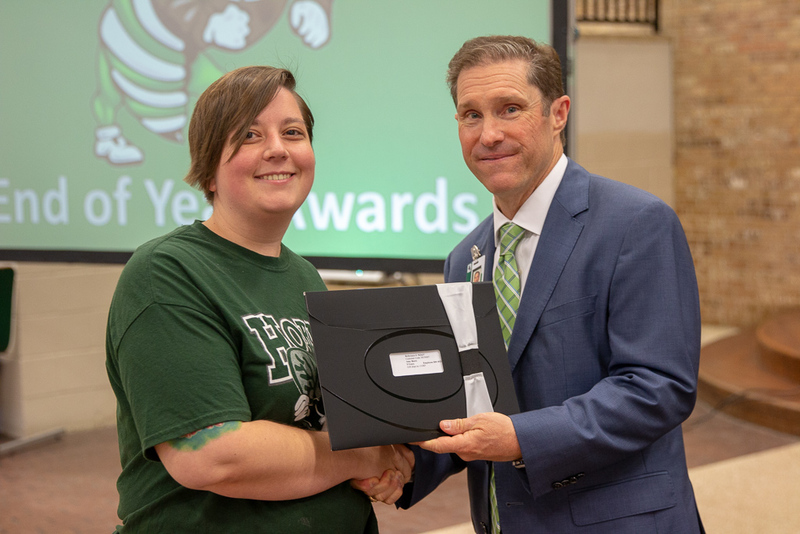 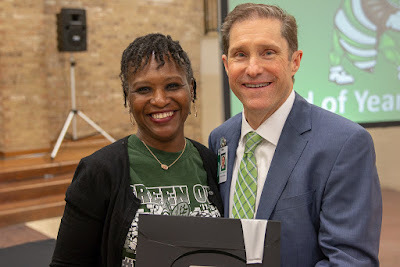 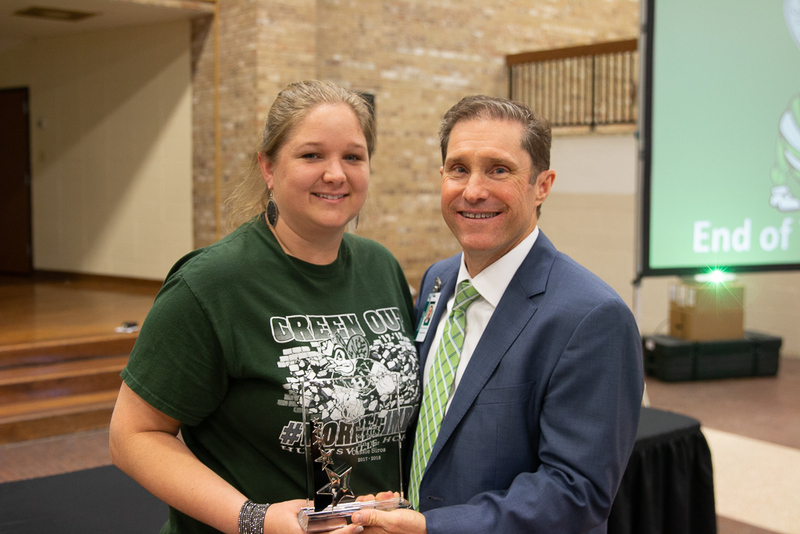 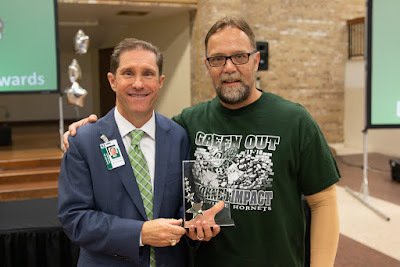 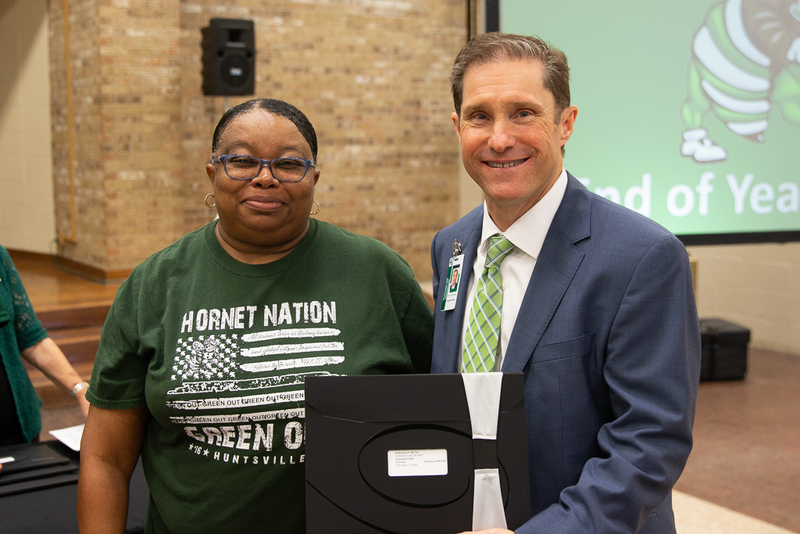 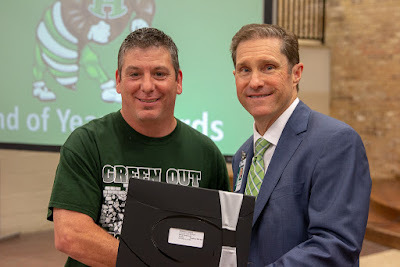 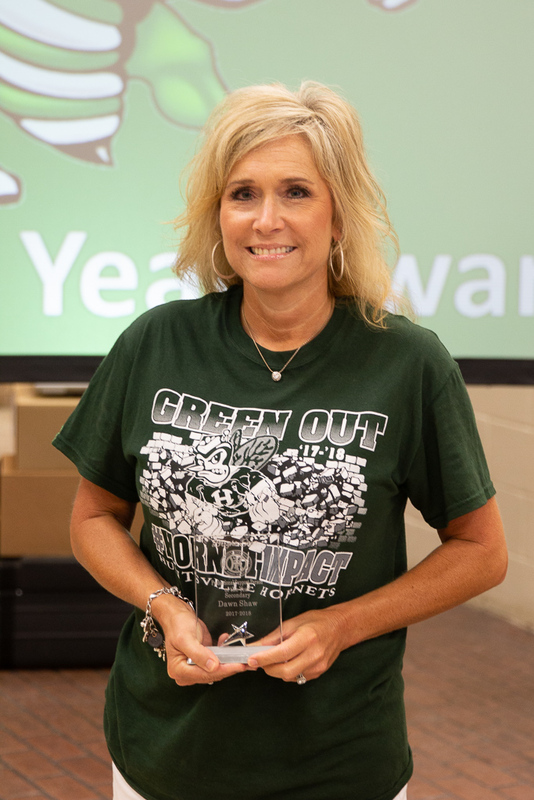 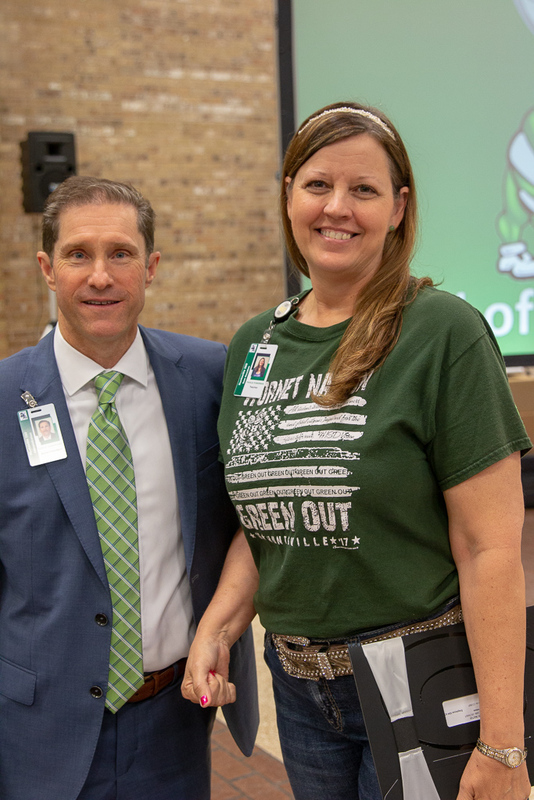 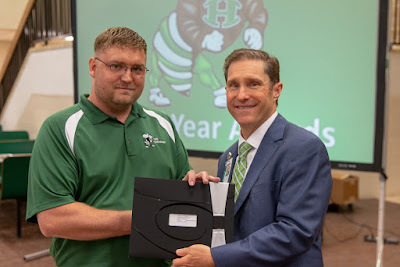 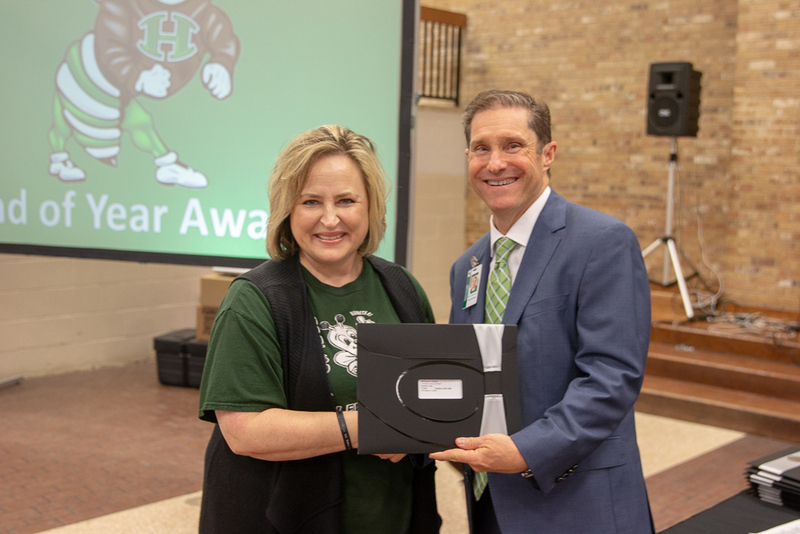 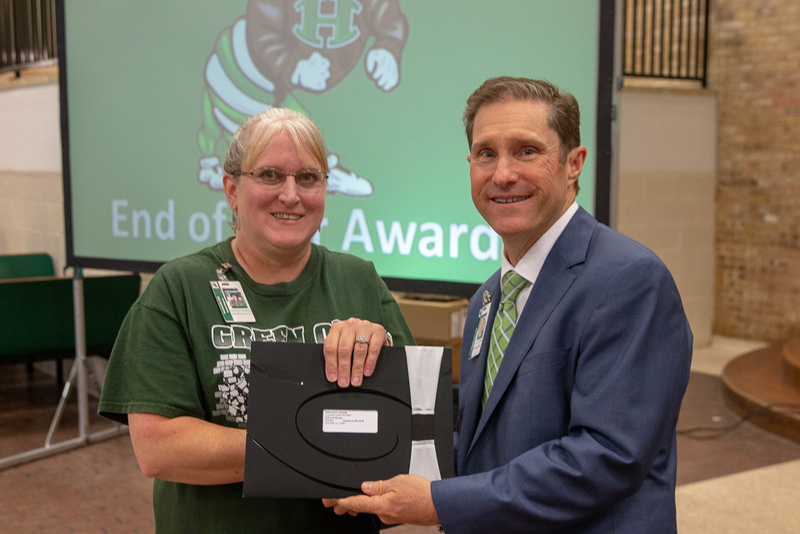 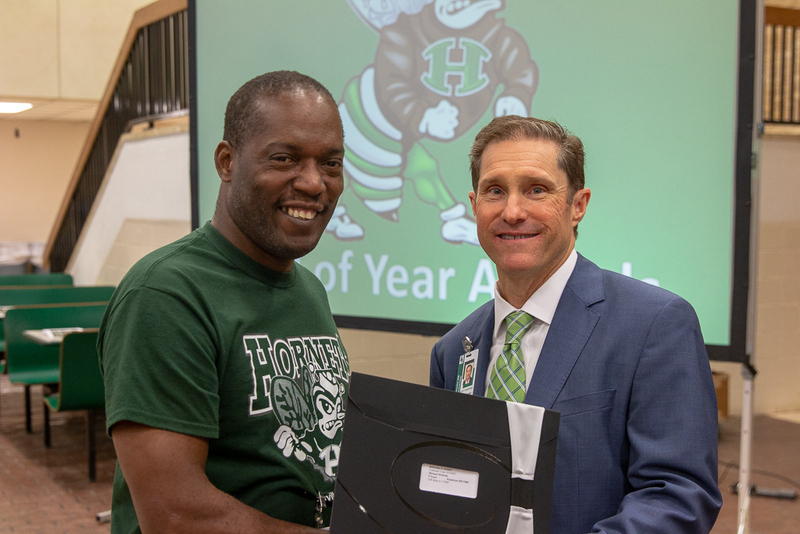 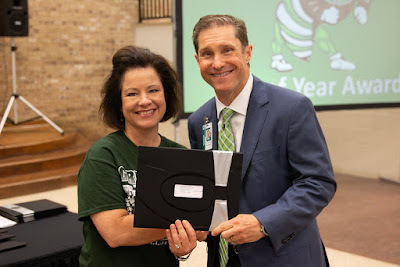 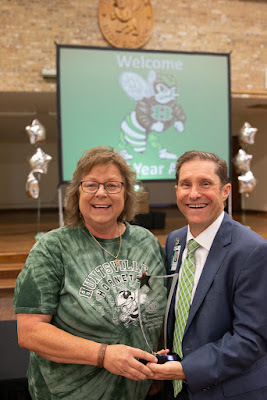 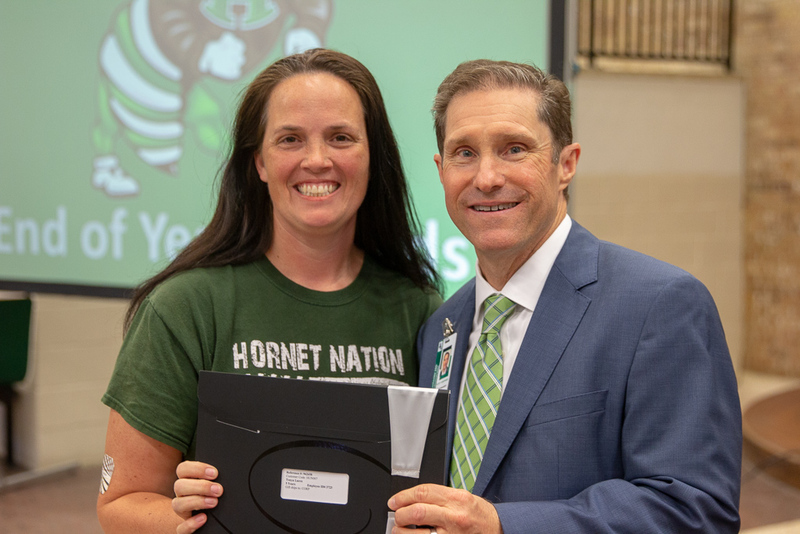 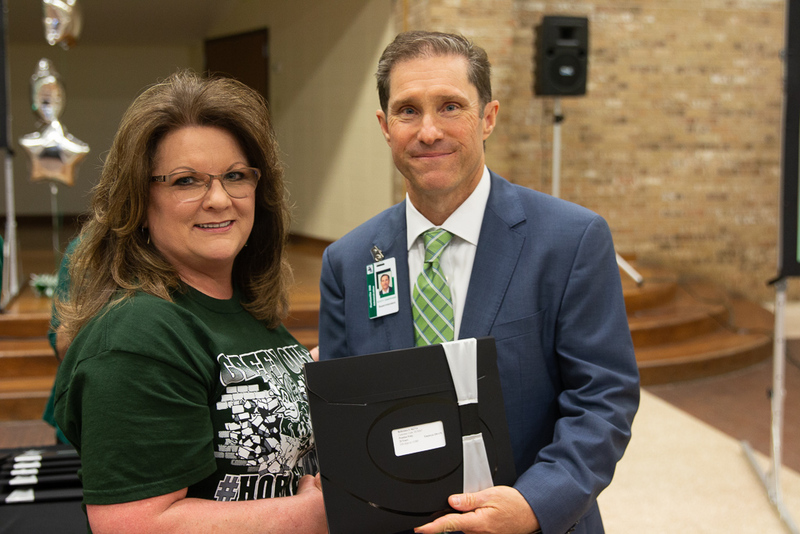 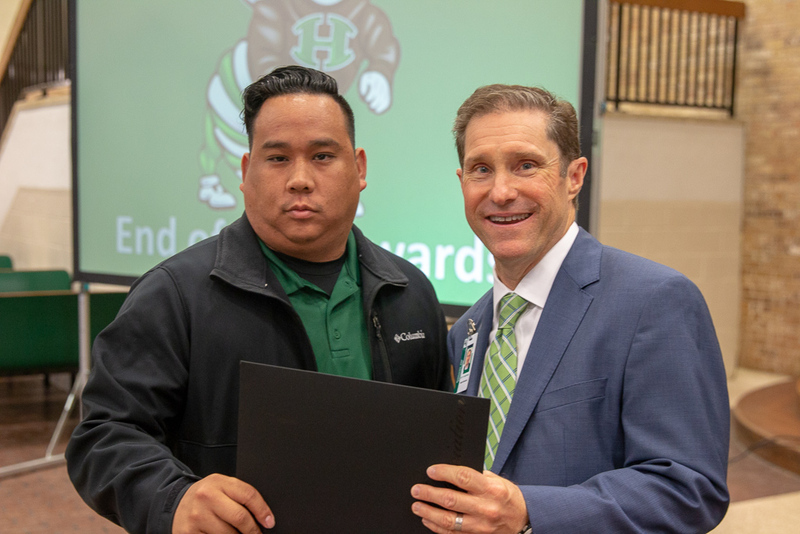 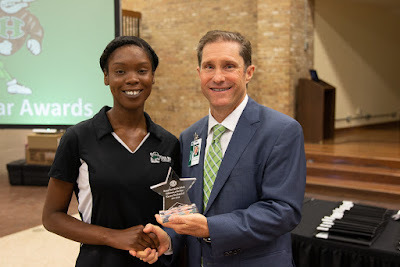 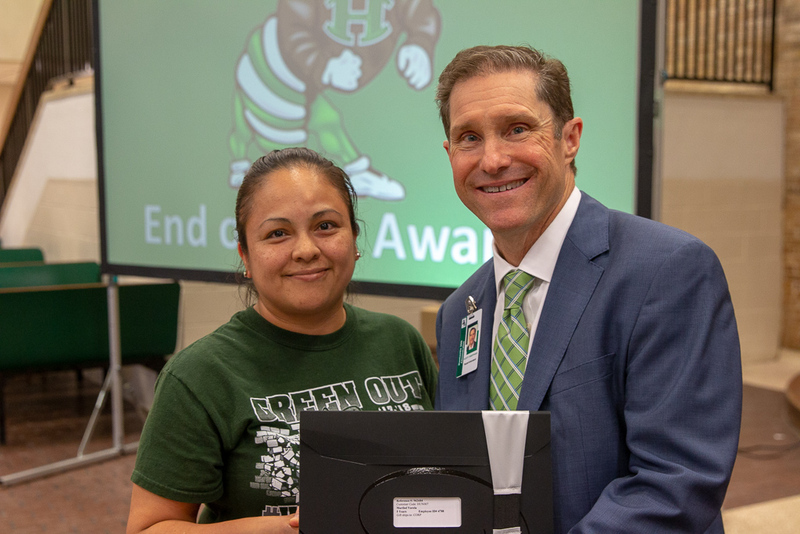 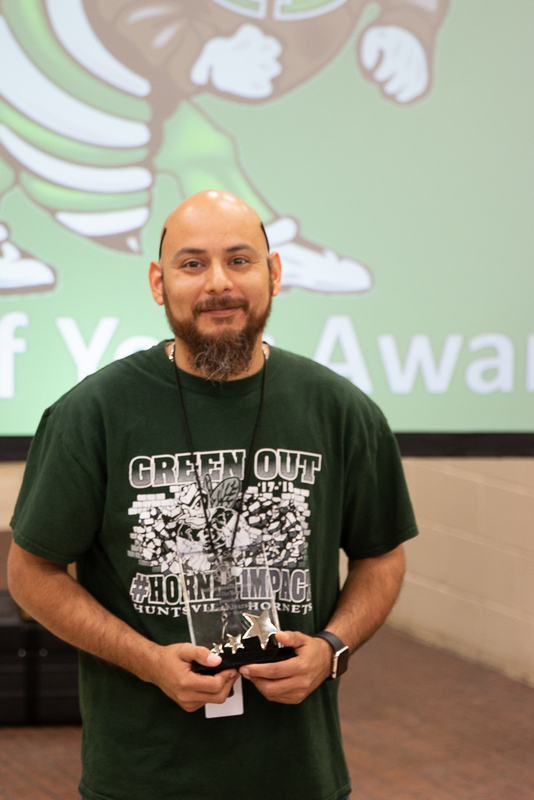 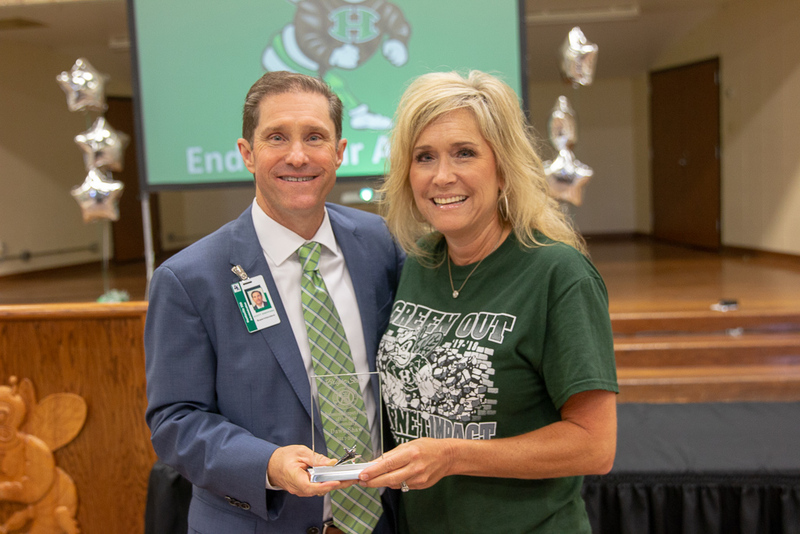 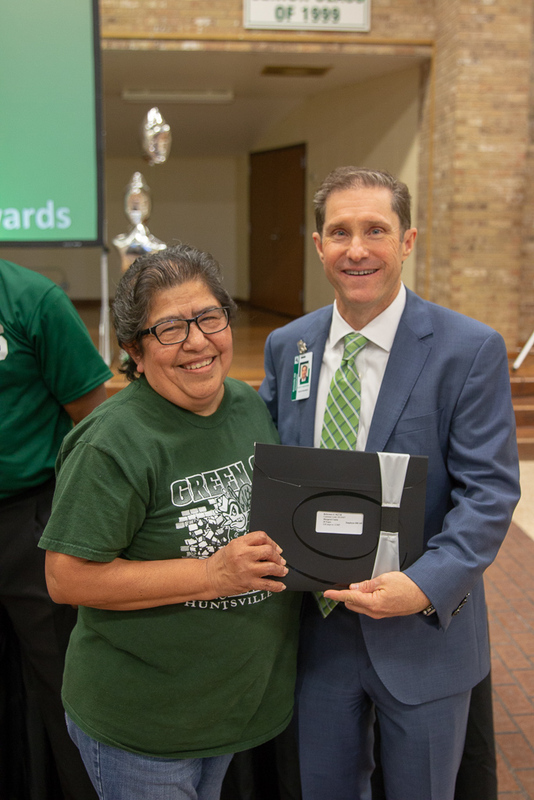 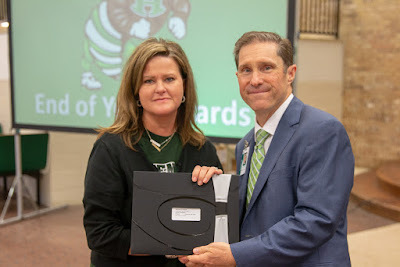 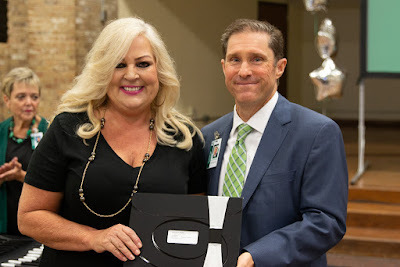 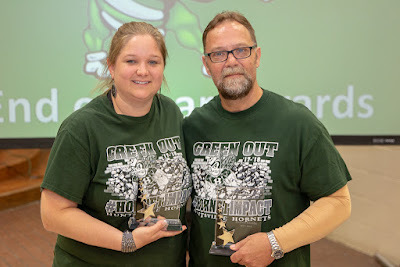 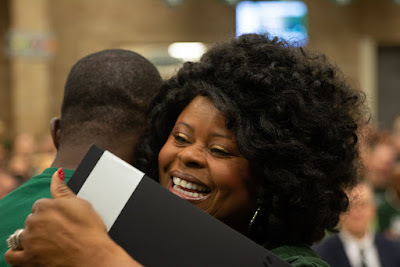 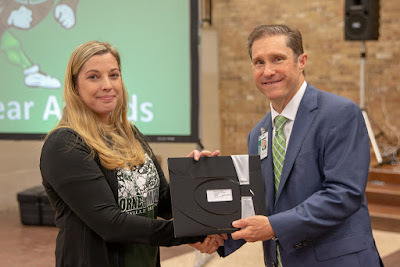 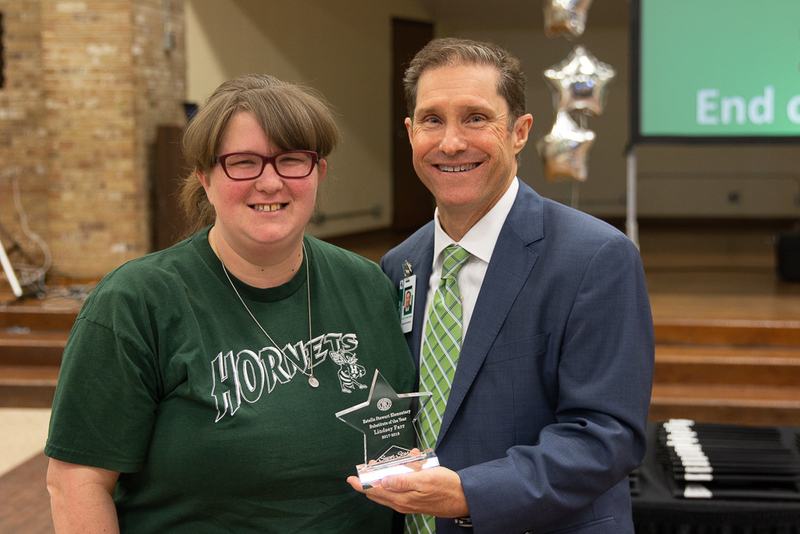 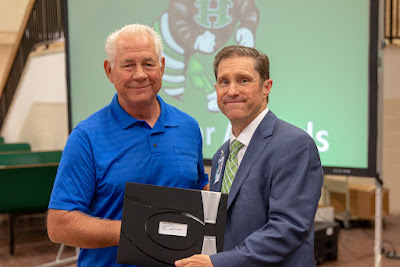 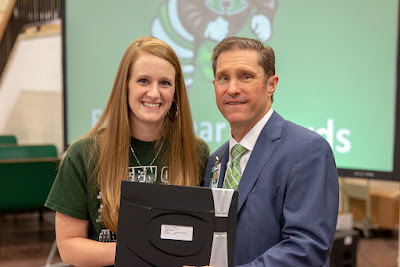 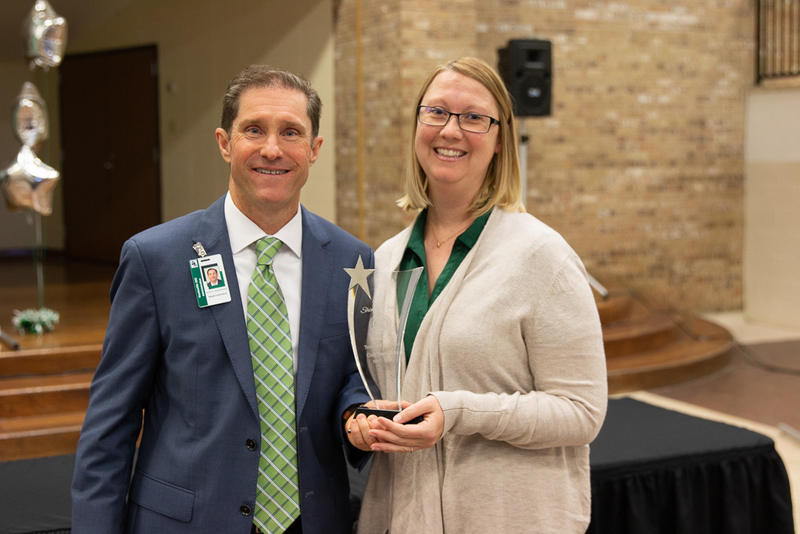 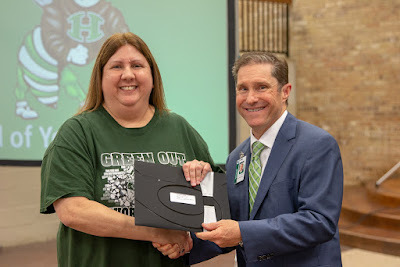 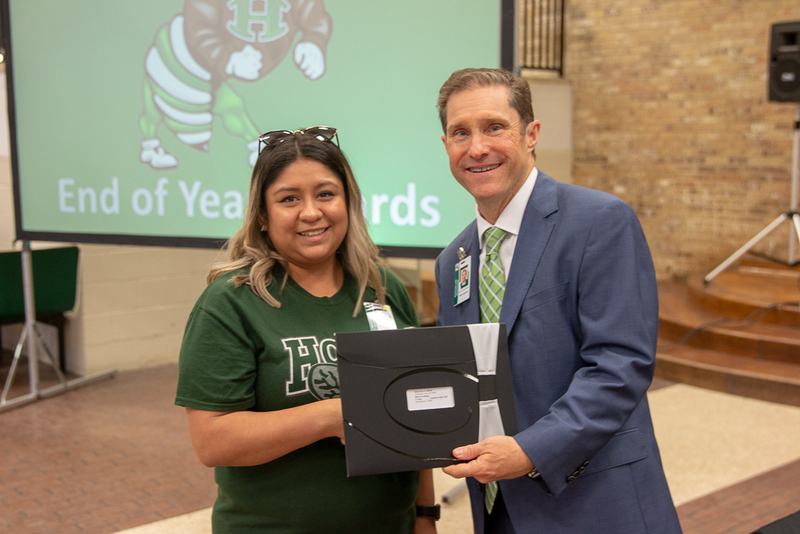 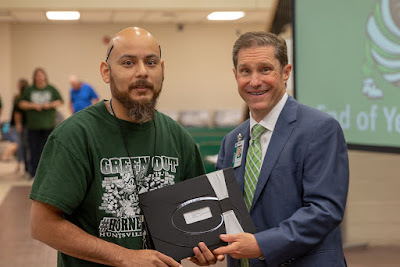 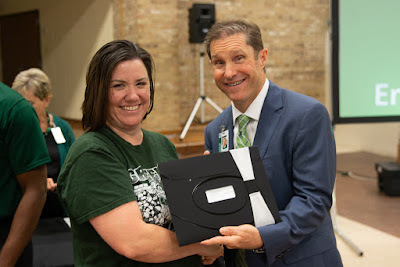 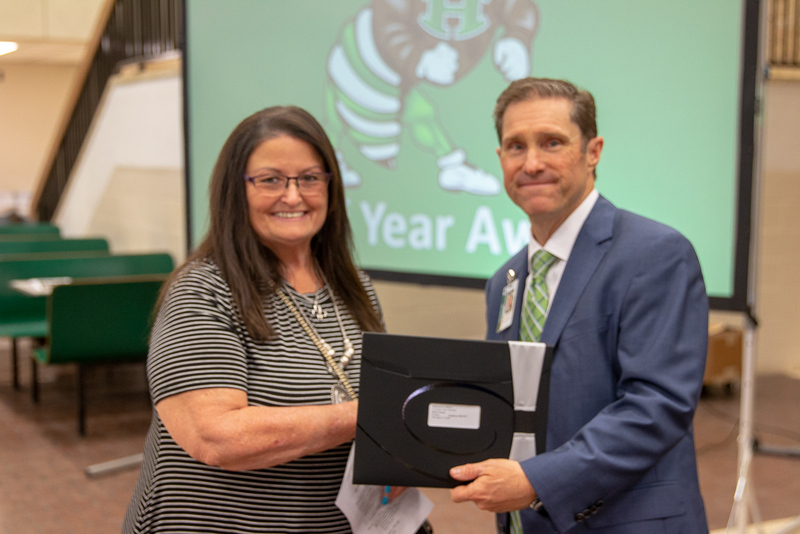 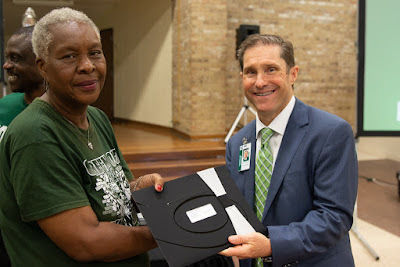 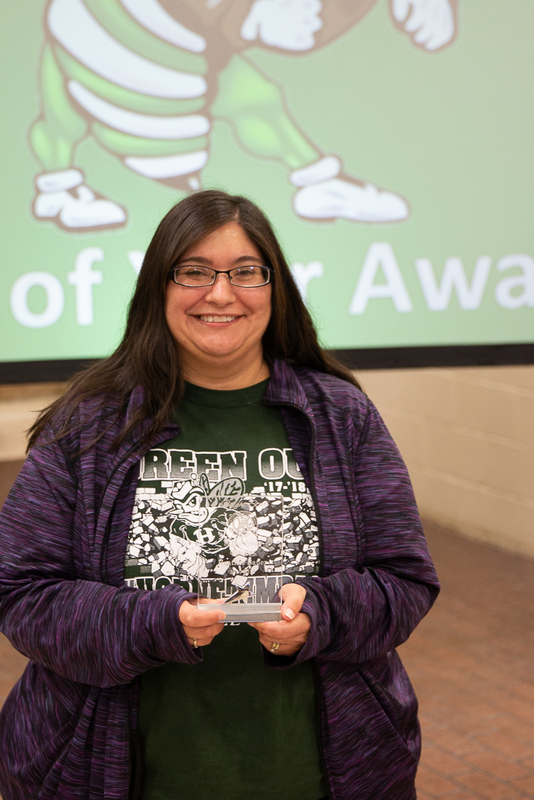 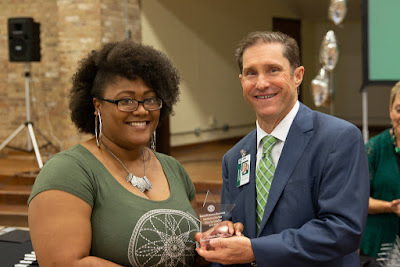 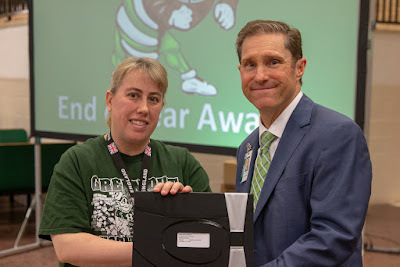 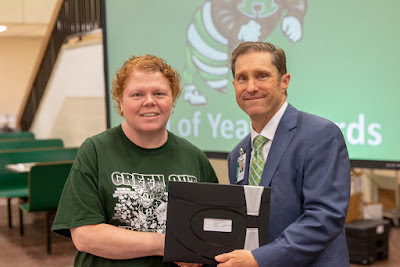 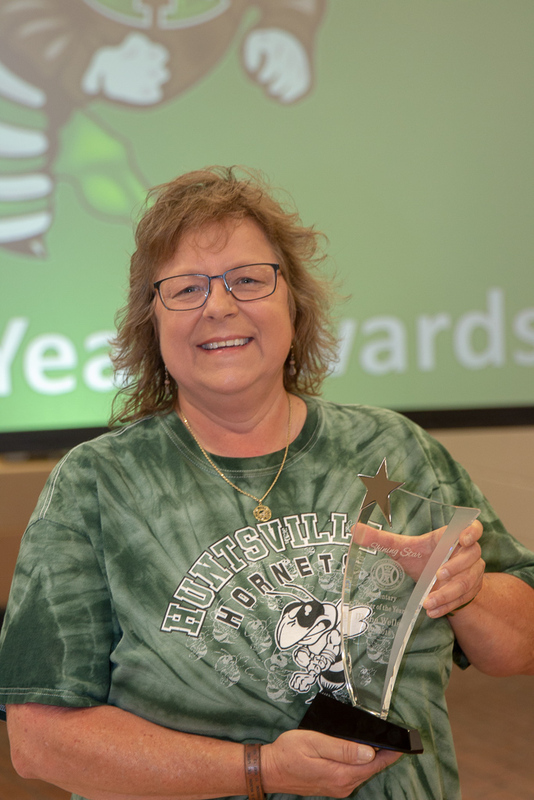 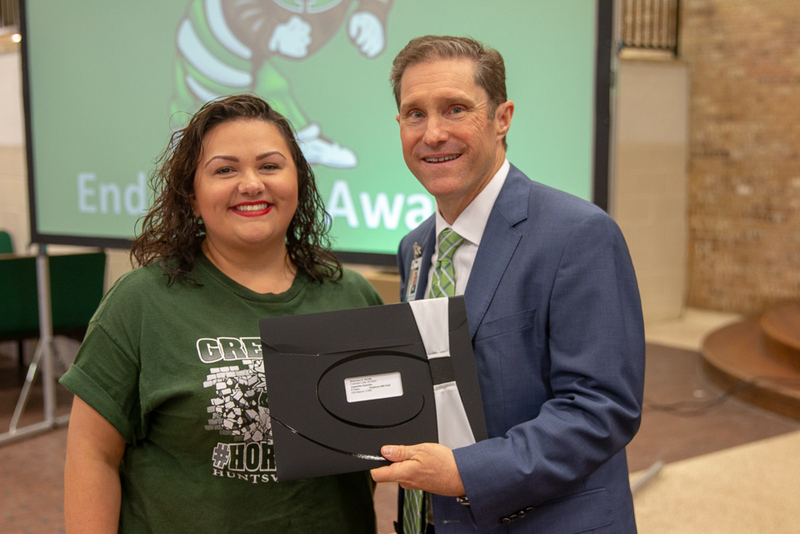 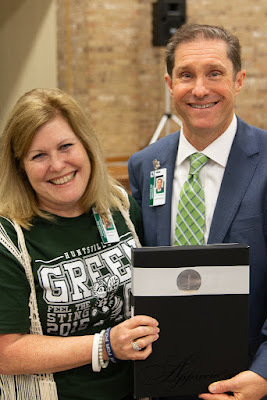 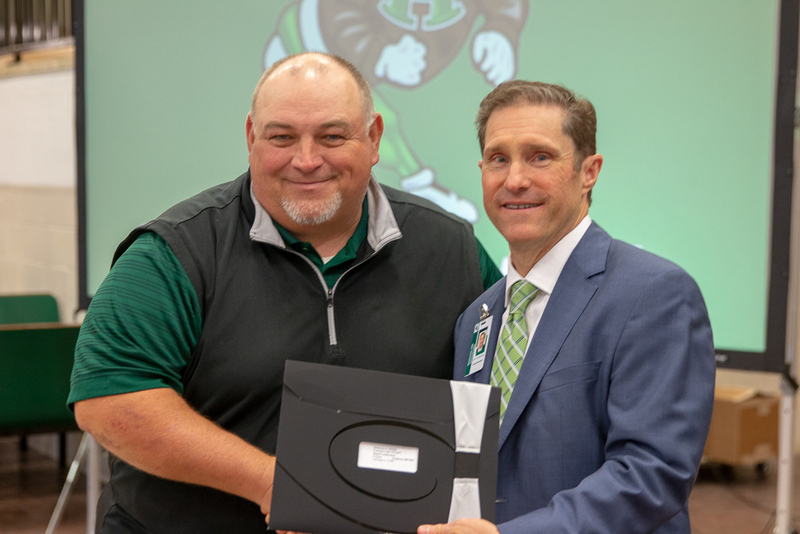 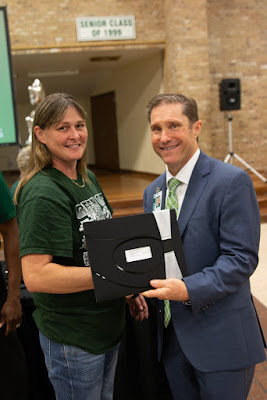 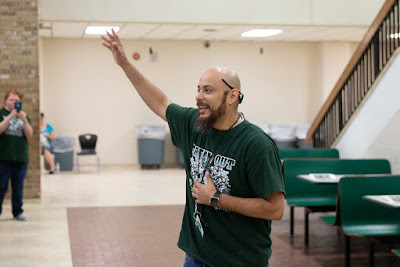 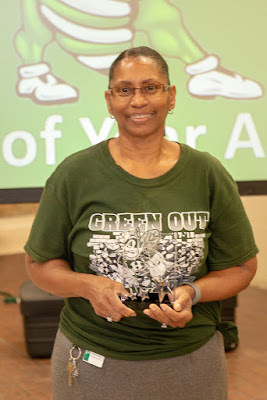 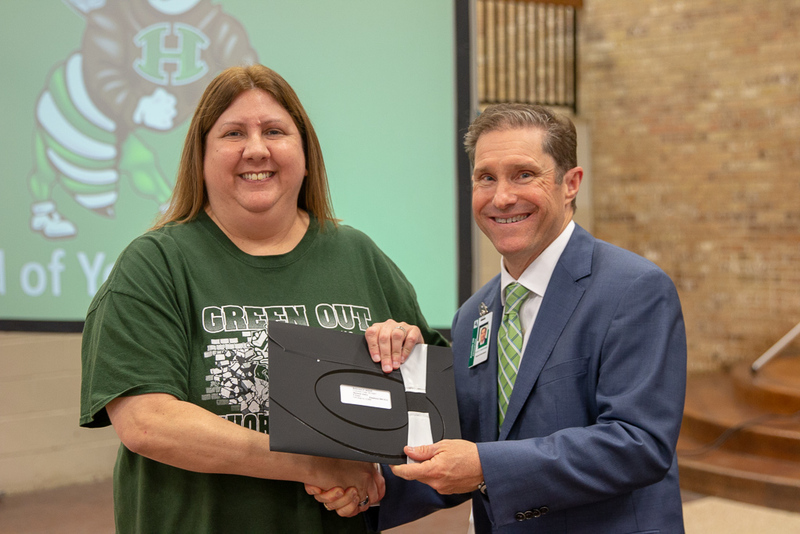 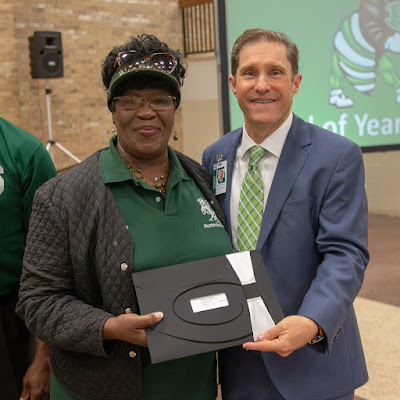 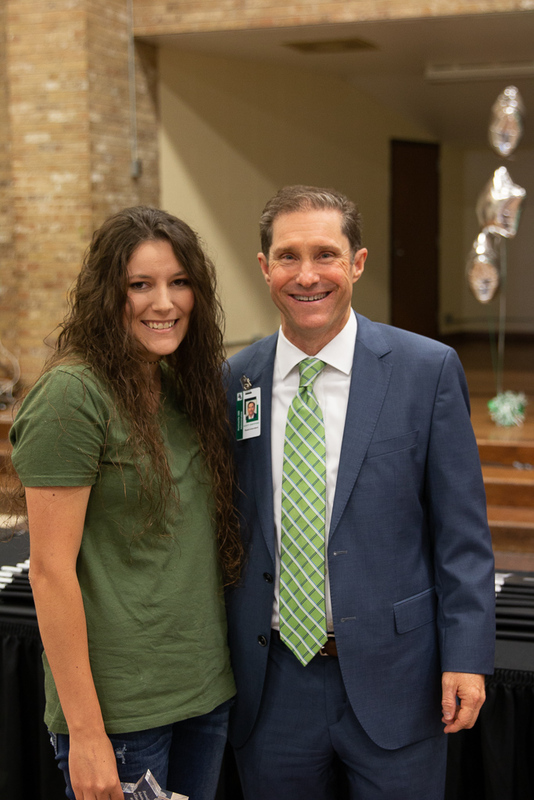 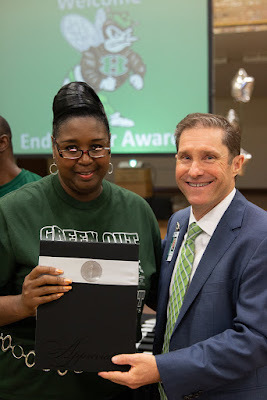 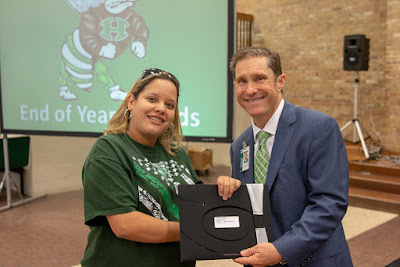 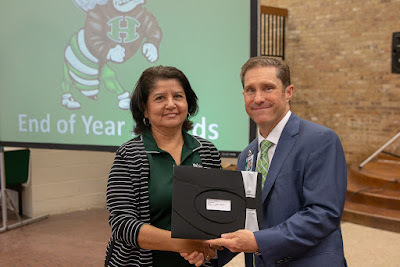 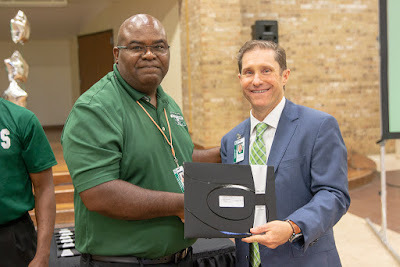 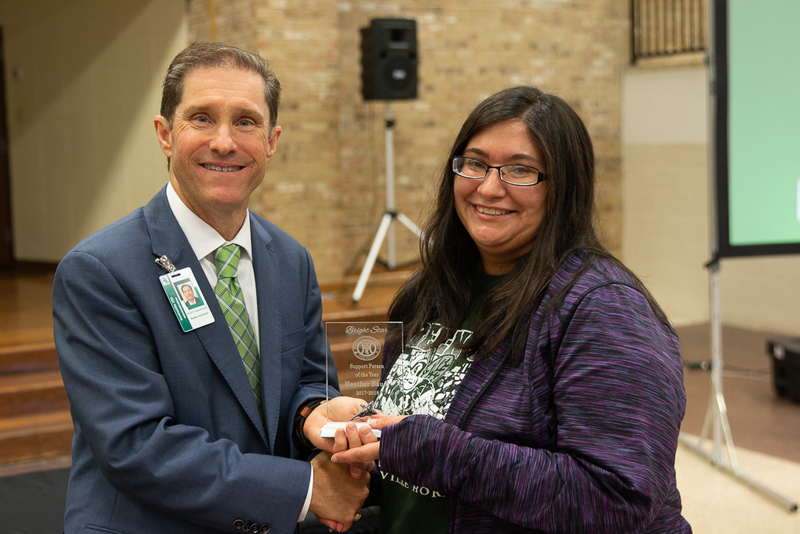 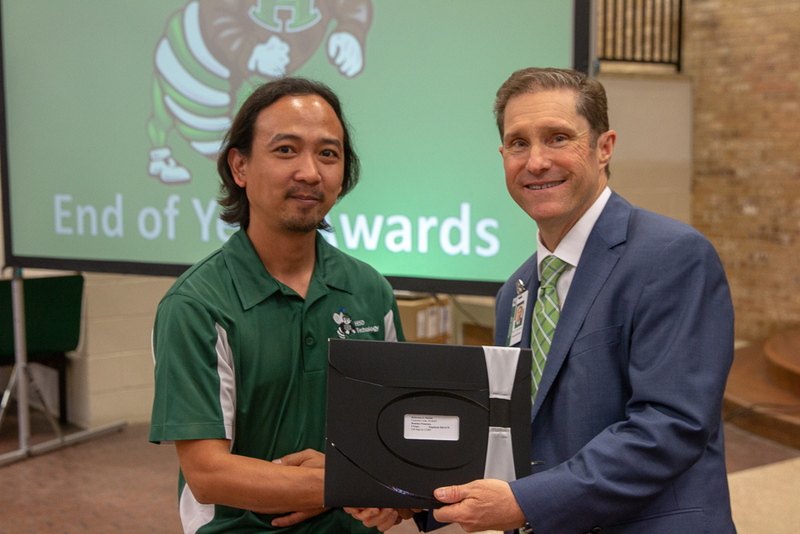 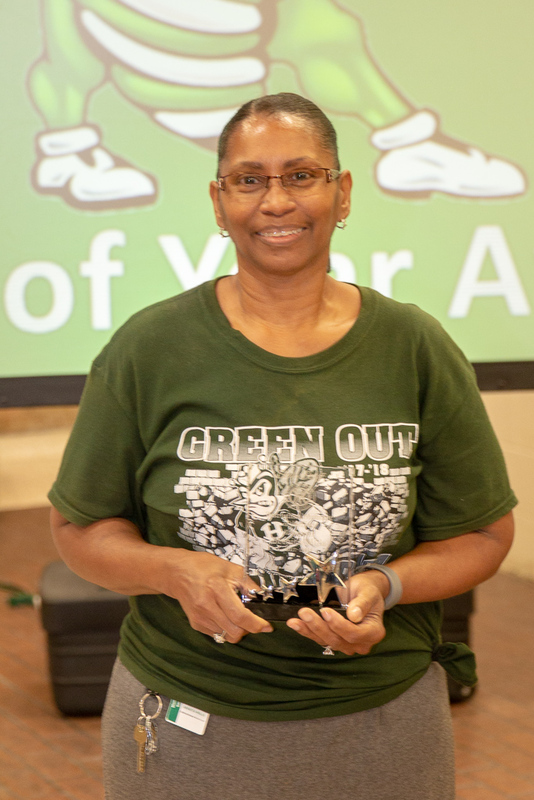 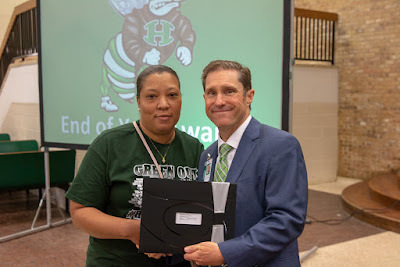 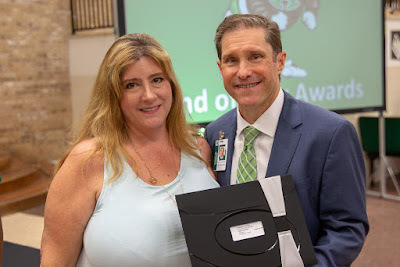 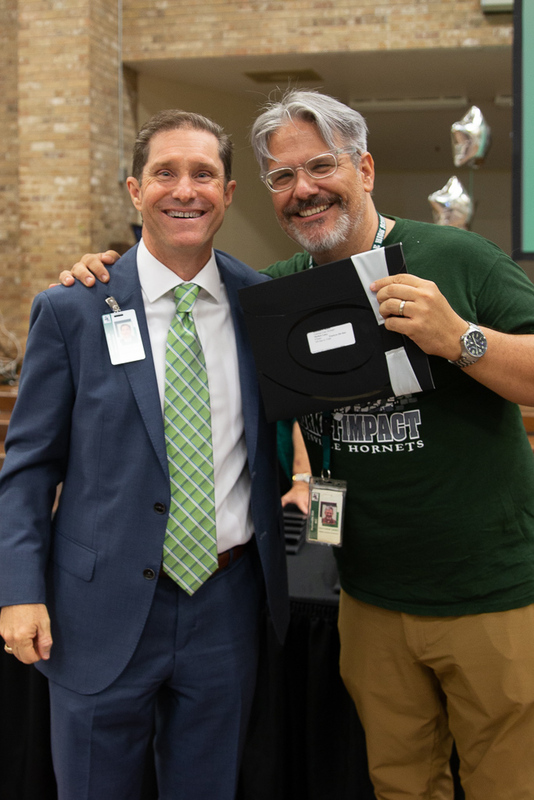 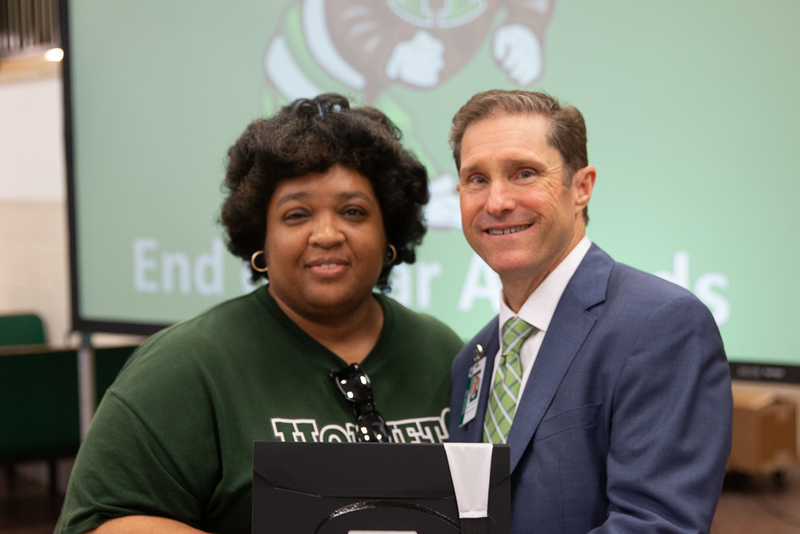 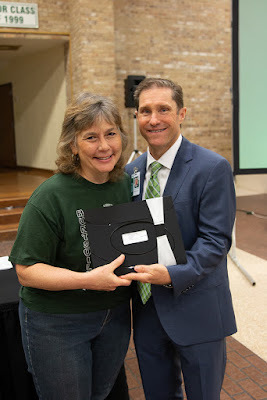 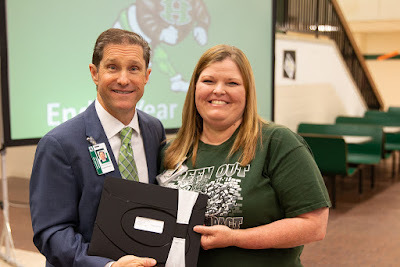 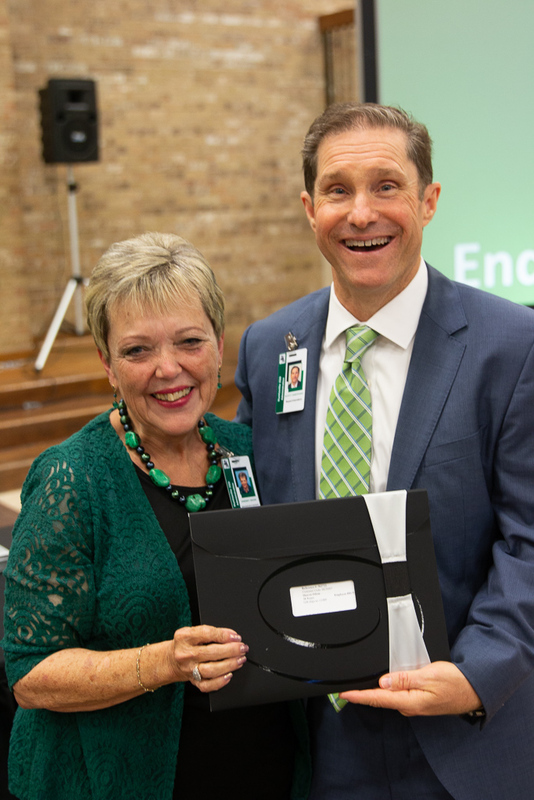 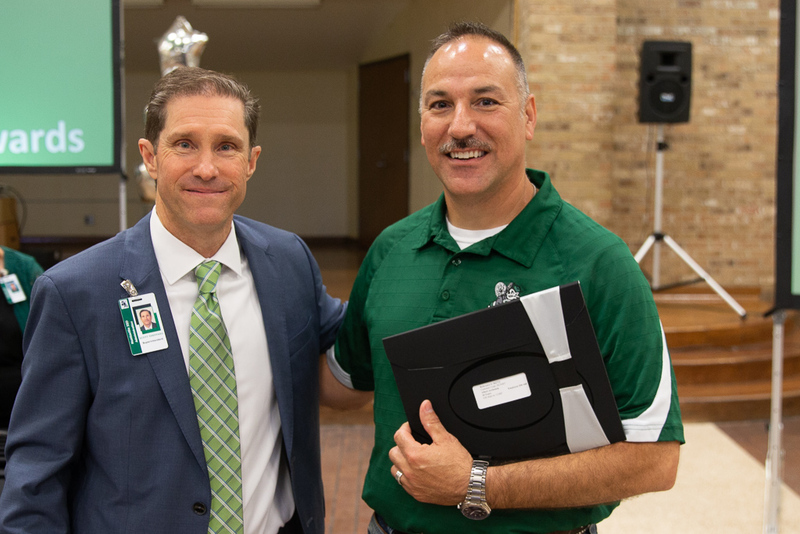 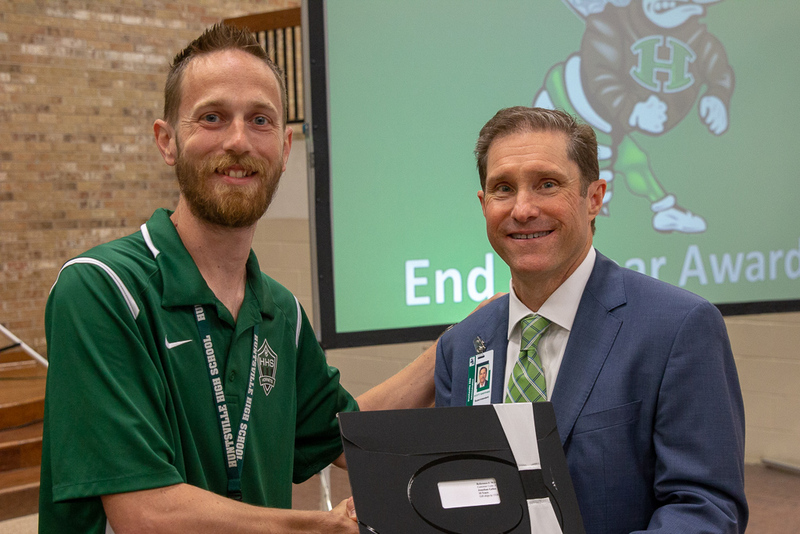 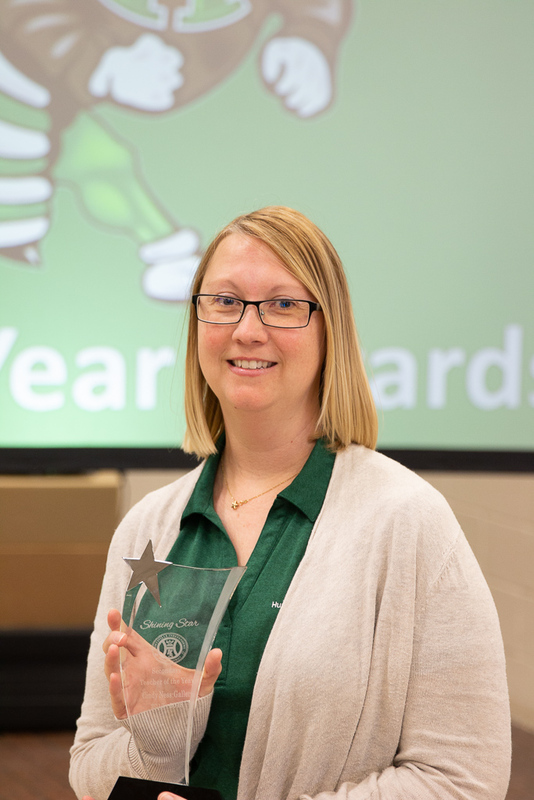 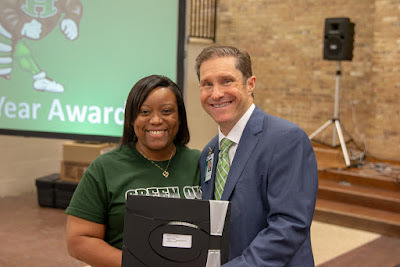 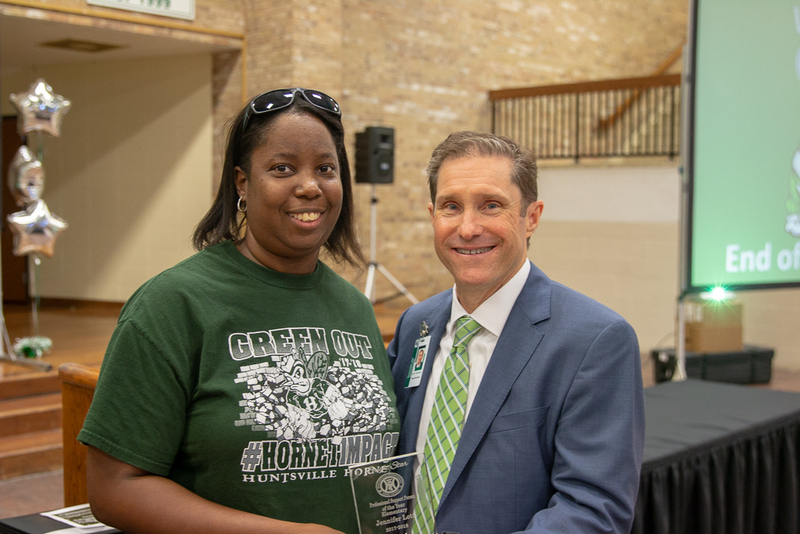 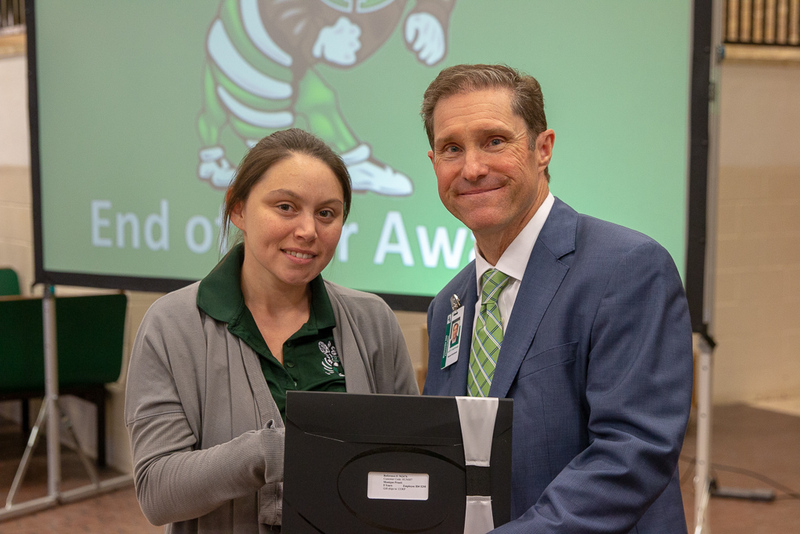 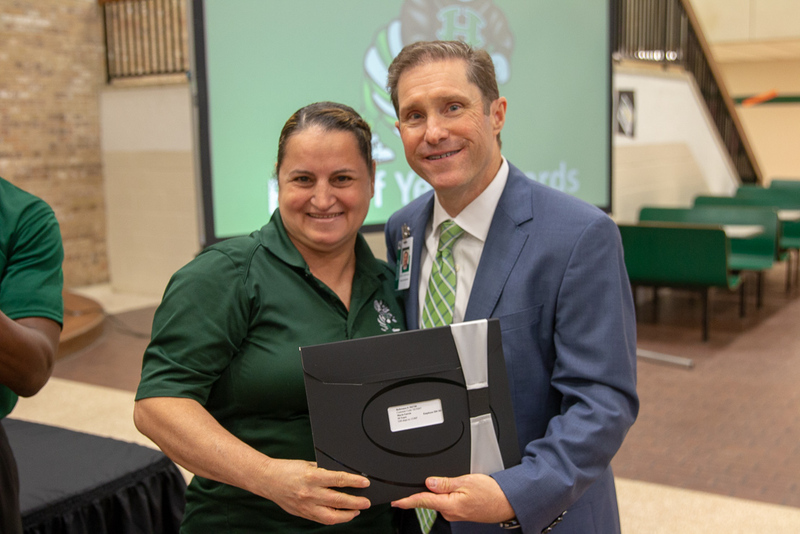 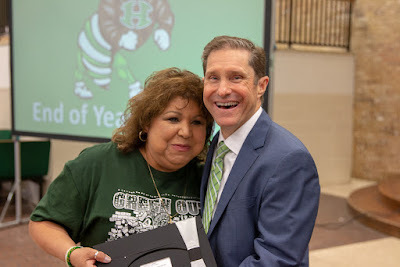 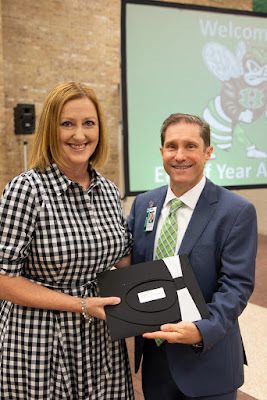 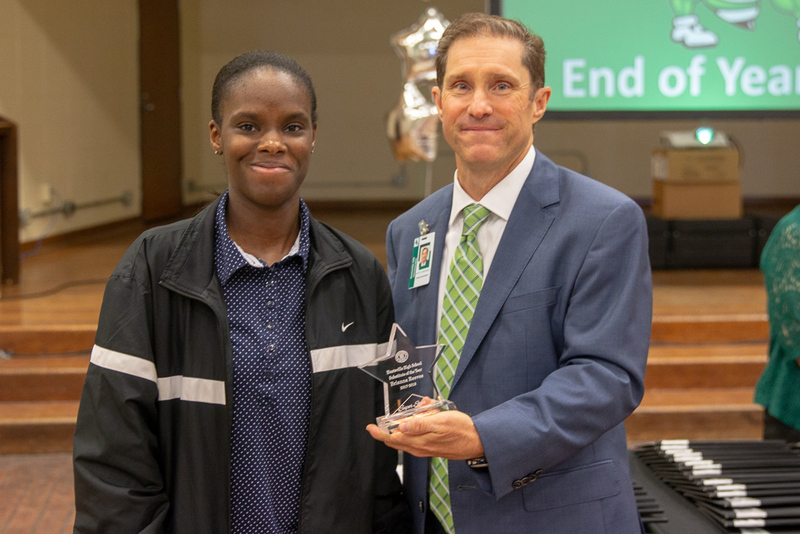 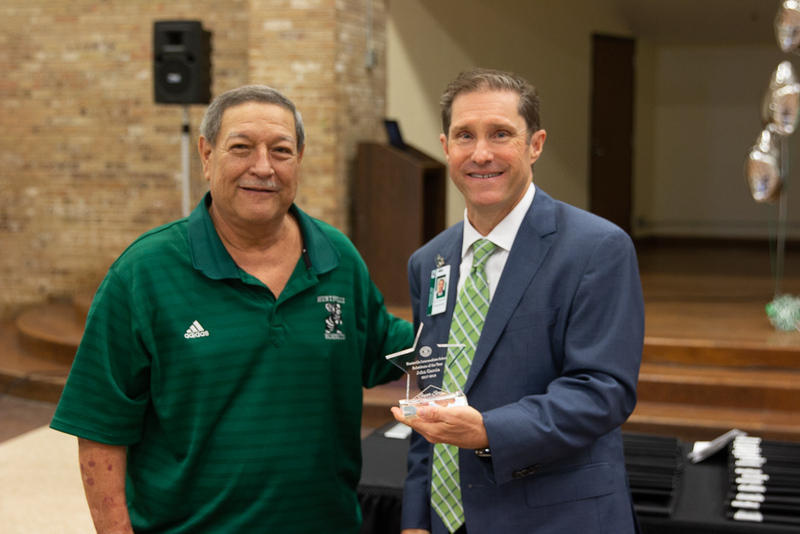 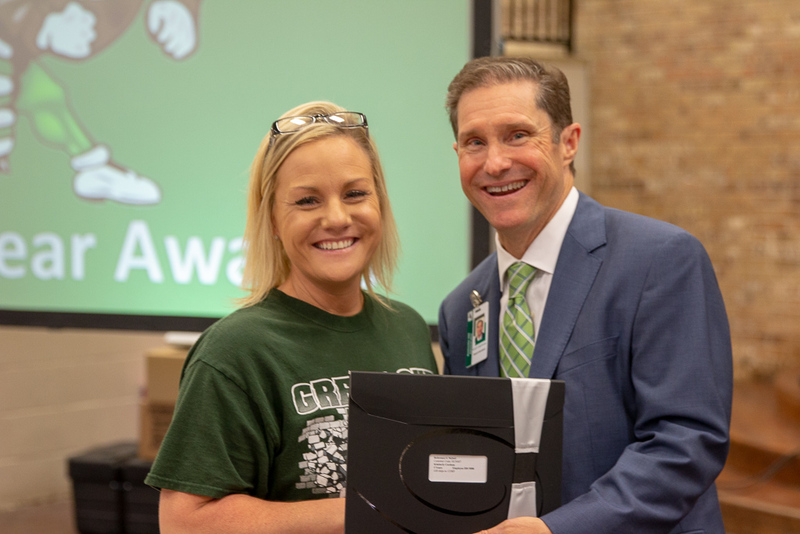 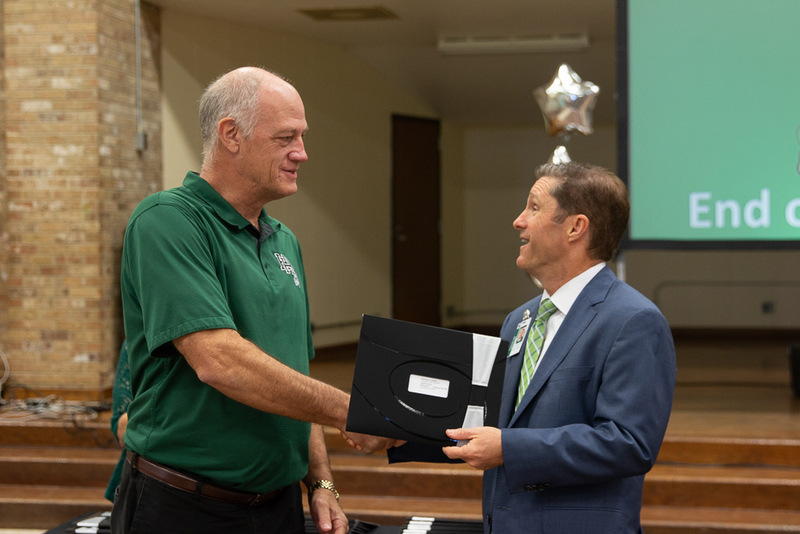 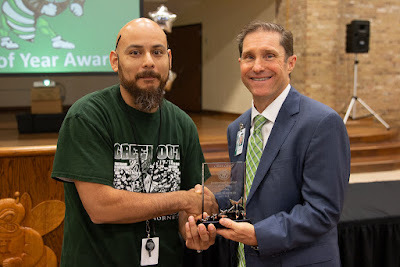 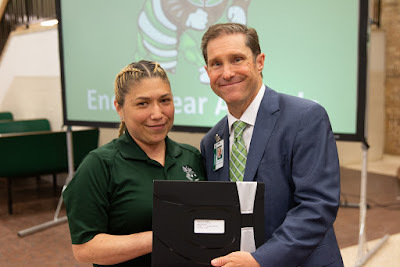 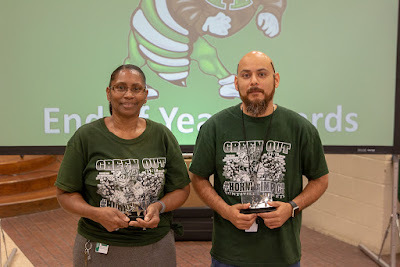 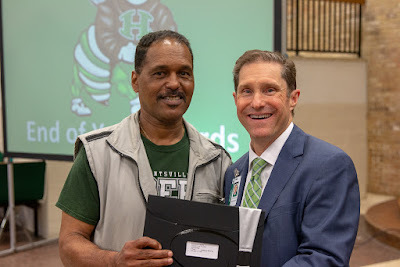 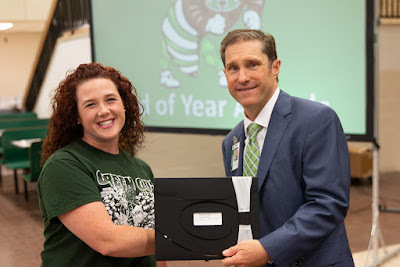 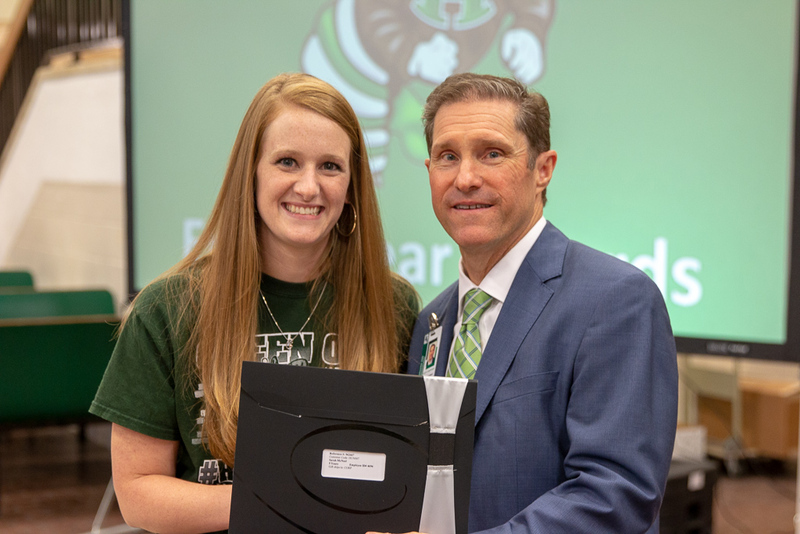 This year, we were able to catch everyone as the received their award- look through these photos and know that you are seeing employees that are the backbone of Huntsville Independent School District. 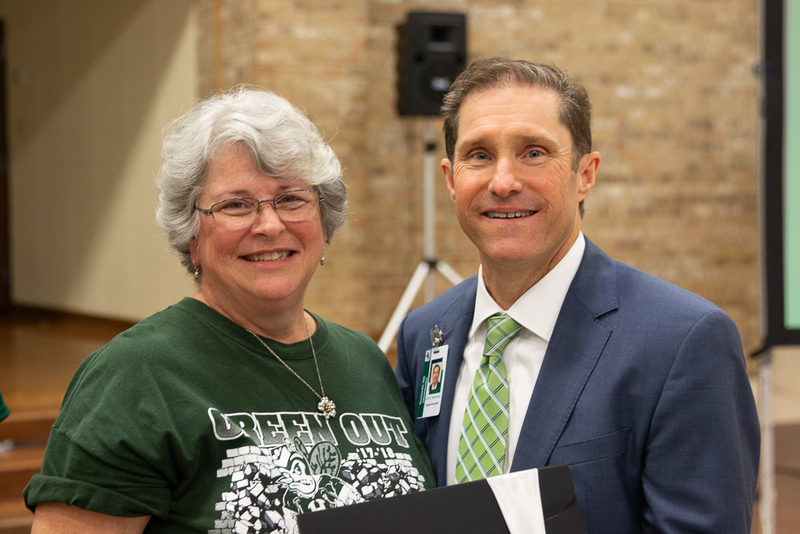 Thank you also to retiree Mary Neville!!! Linda Houston, Ruth Hutchinson & Sarah Munoz!!! 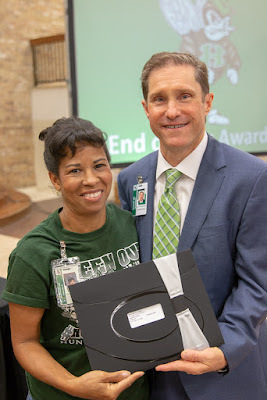 Thank you and Congratulations also to Cynthia McGowen!!! 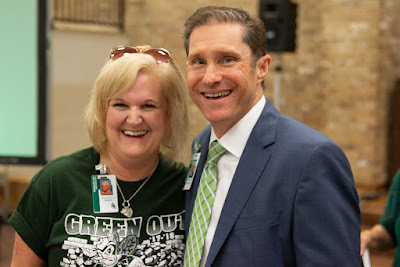 Melissa Lee and Liller McGuire!!! 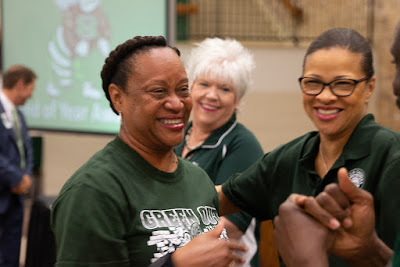 Bailee Henson, Tammie Roundtree & Anita Tipton !!! 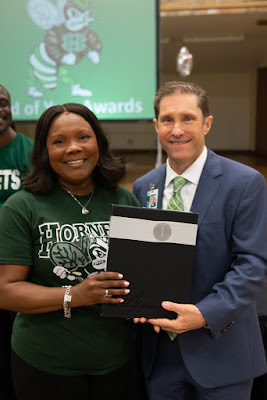 Huntsville ISD, we did it! 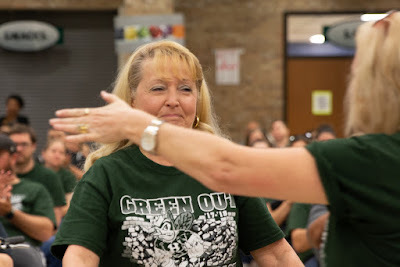 Have a wonderful, restful and safe summer!! !